This mask is a twist on an already creepy zombie look. 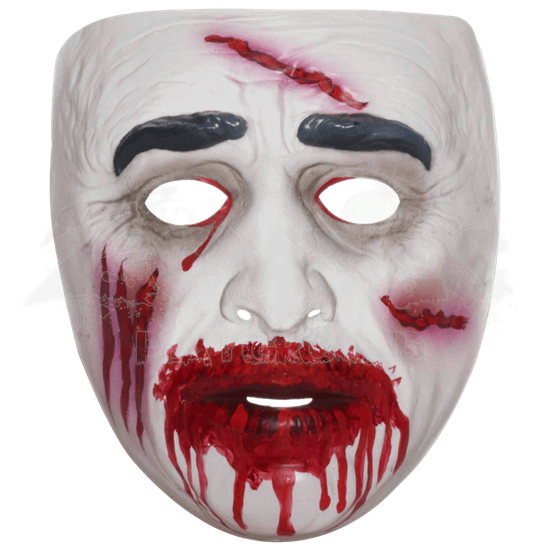 The Transparent Bloody Zombie Mask is a sleek, impressive face mask that is transparent, distorting your appearance while adding in gruesome details like blood stains and wounds. This simple face mask is worn over your face via a thin strap that attaches to either side of the mask and wraps around the back of the head. The mask distorts your own appearance, making you all that more difficult to recognize. It adds a few eerie zombie features, including a blood-stained mouth, a trio of claw marks across one cheek, a gash across the other cheek, a cut on the forehead, and a teardrop of blood dripping down from one eye. Accent the Transparent Bloody Zombie Mask by building on a fresh from feasting look, and you are sure to build yourself a winning zombie costume.